party hacks | Odd Job Handyman Services, Inc.
Planning a summer fiesta can be time-consuming and stressful. If you don’t have a good team of helpers on your side, handling all the party details on your own can be quite overwhelming. Fortunately, there are a number of easy party hacks to help you pull it off without a hitch. 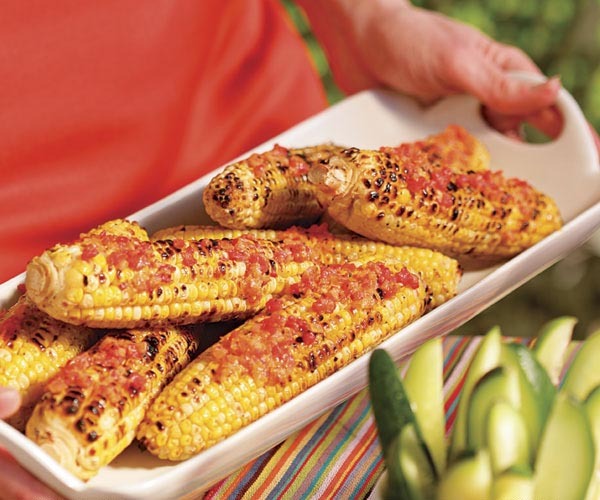 While corn-on-the-cob is relatively easy to prepare for a small dinner party, properly prepping and cooking a boatload of corn for a summer party can be a much taller task. If you’re trying to cook a few dozen ears, you might try making your own “cooler corn.” If you’re using all your large pots for other dishes, but you’ve got an extra cooler lying around, clean it out and prep it for your shucked corn. Then, simply add a few kettles of boiling water and close the lid. All you have to do now is wait. Your corn should be fully cooked in about thirty minutes and will remain at the perfect level of ‘doneness’ for the next couple hours. Keeping drinks cold can be one of the most difficult aspects of hosting a large summer party. Besides buying an absurd amount of ice, and still having to make a last minute trip when you run out, you might try this creative solution for keeping drinks cold at your party. 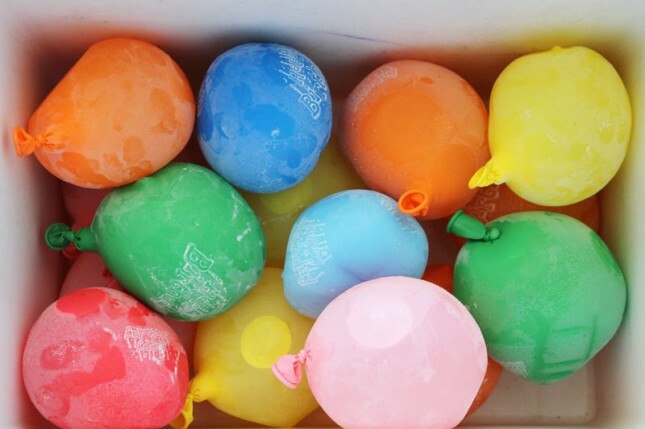 If you have an unused pack of water balloons lying around, these can be repurposed to create drink coolers. Simply take a few minutes the day before your party to fill as many balloons as you need with water and place them in your freezer. When party time rolls around, your balloons will be frozen and ready to keep your most important beverages cold through your entire party. If you have a bunch of clear plastic cups leftover from a previous party, these can be easily reused to create additional lighting for your upcoming fiesta. You simply need to poke small holes in each cup and insert them over the individual bulbs on a string of white lights. Of course, you may choose to use a colored string of lights to give your outdoors party a more festive environment. If you’re planning on hosting a party that will begin in the early afternoon and last into the evening, you’ll have to be prepared for the beating sun as well as the onslaught of bugs at dusk. Fortunately, you can easily design your own creative solution and essentially kill two birds with one stone. 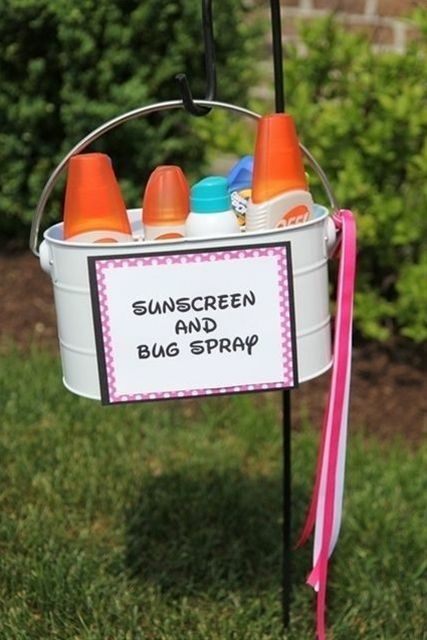 Before your party swings into full force, take some time to gather sunscreen and bug spray and create your own ‘protection buckets.’ Most of your guests are likely to forget these essentials, so having sunscreen and bug spray handy at all times can keep the focus on fun and off your pesky backyard companions. 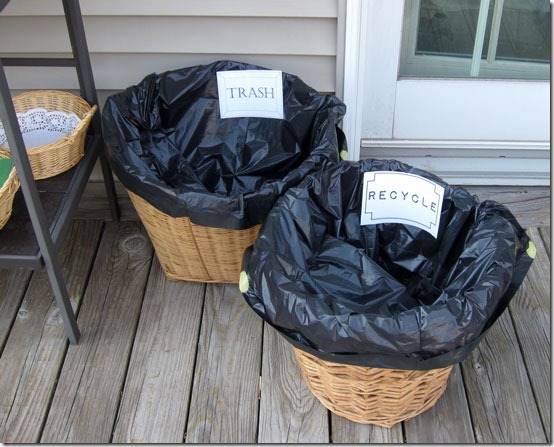 Like the other party hacks featured here, this is convenient, disposable and much cheaper than the traditional options. Because they are wide, and very open, they make an easy target for your party guests, even after they’ve had a few strong, adult beverages. 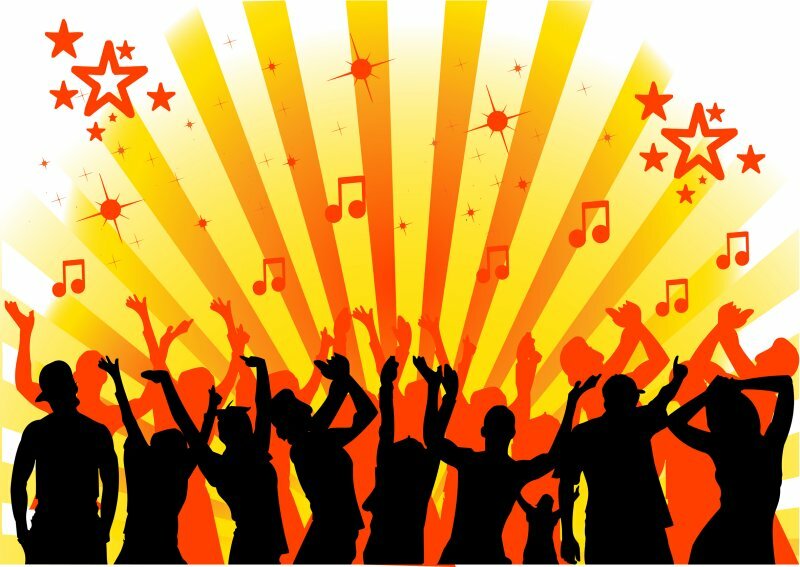 Although planning all the details of a summer party can be hectic, a little forethought can help you relax and enjoy yourself when the visitors arrive. If you’re looking for more useful party hacks to help you pull off your summer fiesta, please visit this link. If you’re reading this a little too late and your party got a bit out of hand, remember: most contractors won’t be interested in the fallout. The broken windows and the stained porches? Not worth their time. Don’t fret: at Odd Job we tackle projects of all sizes. See what your neighbours are saying and book our team!